HBM2 is some of the most exciting contemporary memory, to be sure. Its stacked architecture means a 1TB/s memory bandwidth, more than twice what GDDR5 is able to manage – three times as much in some cases. That’s why HMB2 is NVIDIA and AMD’s preferred choice for their upcoming GP100-powered Pascal cards and Greenland GPUs, respectively. The result of this mighty speed is, well, a mighty price tag, and many have been questioning the feasibility of using HMB2 memory in the mid and low-end graphics cards. That’s where GDDR5X comes in. GDDR5X is nowhere near as fast as HBM2, but it does allow for a bandwidth of around 448GB/s, which is still a lot more than what GDDR5 can do. Besides, GPUs using GDDR5X will not need anything like the bandwidth afforded by HBM2 – they’re sporting slower GPUs after all. And it all starts to make sense. Fudzilla recently reported that Micron was working on GDDR6, a memory architecture that would double the bandwidth of GDDR5, thanks to 10 to 14GB/s per memory module. Since then, Micron has debunked the story and, by the same token, confirmed GDDR5X. 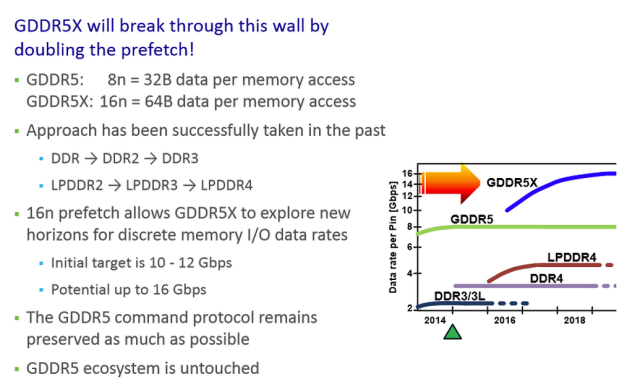 GDDR5X doubles the prefetch of GDDR5 and in the process offers twice the bandwidth, but still uses much of the same command protocols, allowing for fairly simple integration. We should probably mention that entry-level cards will still work just fine on GDDR5. 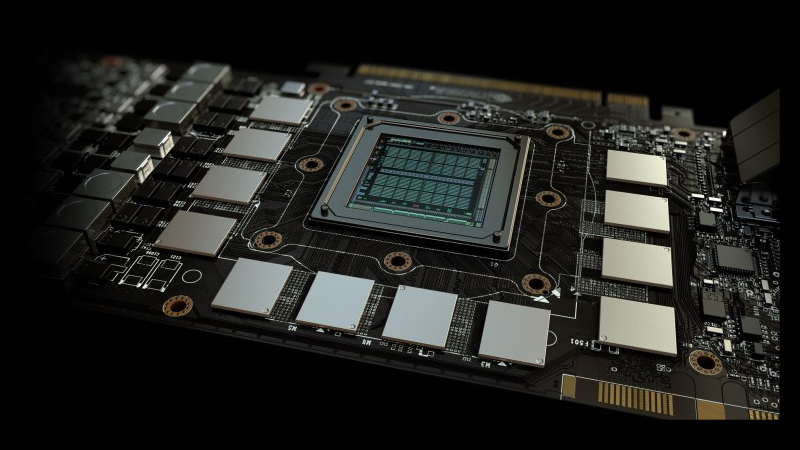 As a result, we’re thinking HBM2 will be dedicated to enthusiast cards, GDDR5X will be used in mid-range cards, like NVIDIA’s rumoured GP104 cards, and GDDR5 will stay its course in entry cards.